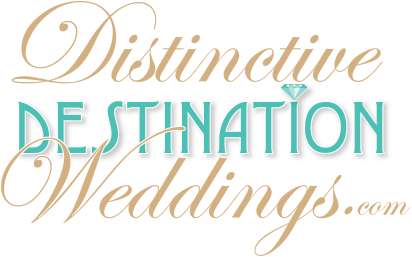 When it comes to your special day, we don’t just strive to do weddings better; we aim to make your wedding the most magical and unforgettable experience of your life. Puerto Rico is tailor-made to host a destination wedding, and the perfect escape for a honeymoon. We offer an unbeatable choice of venue, from the elegant majesty of Old San Juan, to an idyllic beachfront setting, to the verdant backdrop of a rainforest. If you want, we can even get you married in a spectacular subterranean cavern! Imagine getting married in one of the oldest cathedrals in the western hemisphere, a converted Carmelite convent, or a historic fortress. The undeniable romance and cosmopolitan sophistication of Old San Juan make it the most popular choice for a wedding in Puerto Rico. Many brides dream of an intimate sunset ceremony on a pristine beach. We’ll help you choose the perfect spot from among our 300 beaches. All of Puerto Rico’s resort hotels have facilities that cater to weddings, and many offer elegant ballrooms, a variety of indoor and outdoor venues, and an expert staff to take care of all the details.